A bad move for any new listing is to go from active "for sale" to pending status, and then suddenly appear back on the market. It's three words no agent wants to see attached to a listing: back on market. What was once new can instantly morph into old before a buyer's very eyes. Unfortunately, many buyers, and their agents as well, often form incorrect assumptions about why a home is back on the market. They immediately decide it's because there was something wrong with the property, some horrendous, enormous repair issue discovered during the home inspection. Back on the market carries a stigma. An undeserved stigma, but a stigma all the same. 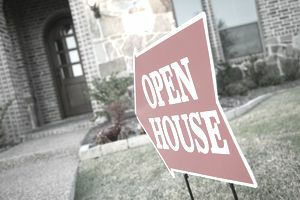 There is only one instance in which a back on market listing becomes a hot commodity. This is when there is very little inventory available, no homes for sale. And if that home is priced a bit below market, shows well and comes back on the market as pending rescission, buyers might fight for it. Buyers often want what another buyer wants. Some buyer's agents might encourage buyers who struggle with decisions and can't agree on which home to buy to just write offers on all of the likely candidates at the same time. A terrible result of this bad behavior is a buyer can end up in contract on more than one home. When this happened to one of my sellers recently, the buyer ultimately decided not to buy either of the homes. Meanwhile, the seller's home was removed from the market as pending. There are many ways a buyer can try to hoodwink a seller. Posing as a buyer with financial means and submitting an attractive offer to the seller when he is flat broke is only one of those ways this happens. A records search can turn up evidence of a criminal record, and the seller can promptly cancel the transaction. Unfortunately, the home status changes to back on market. Just because a mortgage lender issues a preapproval letter does not mean the buyer is guaranteed to get a loan. In some cases, the loan officer who signs the preapproval letter has neither checked credit nor verified assets. Some buyers do not find out they cannot get a loan until a few days before closing. By this time, the seller's home has probably been off the market for at least 30 days. Legal documents change all the time in real estate. An agent might be familiar with a form and not notice certain details have been altered. For example, it happened that a buyer needed a few months to sell a home but wanted to submit a contingent offer for a home in Sacramento. Her agent wrote the contract giving the buyer seven days to sell her home. But that was a mistake the buyer and her agent did not catch. When the listing agent asked for the contingency removal, the buyer's agent was dumbfounded to discover she had made such a mistake. It meant the terms in the purchase contract could not be met, and it was back to the negotiation table. Sometimes buyers believe they made a bad decision and develop cold feet. They slowly begin to realize that with home ownership comes other financial obligations such as maintaining the home, paying for repairs and upgrades, and they become frightened of what they perceive to be an unnatural burden. Unfortunately, this realization often happens at an inopportune time such as during the middle of escrow.